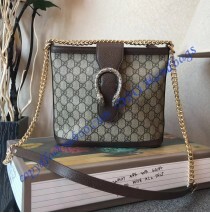 It is commonly believed that Gucci makes some creations which are so great and so impressive that they are linked to ancient Gods. Well, here we have one that has the virtue in question. It carries Dionysus name, who according to a legend crossed the river Tigris on a tiger. That tiger was sent by Zeus himself. All of this means that the Gucci Dionysus medium bucket bag Red Suede is far from an ordinary bag. The first thing we all are going to see is the leather. It is the Hibiscus red suede paired with black trimming. It not only looks impressive, but it also offers impeccable quality and it can be used for a long period of time without showing any issues or damages. The hardware is a masterpiece and it is probably one of the best we have ever seen. It is made out of silver and gold colored metals. 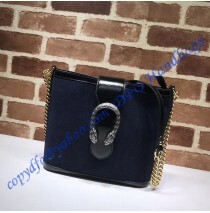 But, all the elements are antique, so they match the bag perfectly. Then we can see a tiger motive which is based on a legend we have mentioned earlier. In addition, we can also see a magnetic closure which has been paired with strong stitching, so this bag is as safe as you may believe. 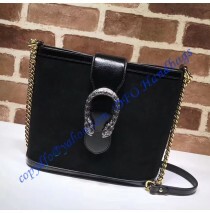 Carrying the bag is possible using a chain shoulder strap, with a massive drop of 56 cm or using top handles with a drop of 30 cm. Inside, you get plenty of storage space and even a pocket for your smartphone. 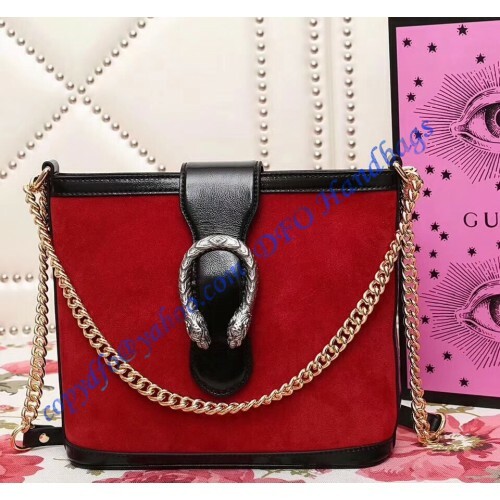 In the end, all we can say is that the Gucci Dionysus medium bucket bag Red Suede is a remarkable creation that must be present in your closet as soon as possible. It is one of the most appealing creations at the moment, so words barely can explain the effect it will have on you and others.